It’s easy to understand why hydrangeas are so popular. Easy to grow and tolerant of sun and shade, hydrangeas bring stunning foliage and big blossoms to your garden. Increase the enchantment of these flowering bushes by carefully selecting hydrangea companion plants. If you are thoughtful about planting next to hydrangeas, you’ll find shrubs and flowers that complement these plants. 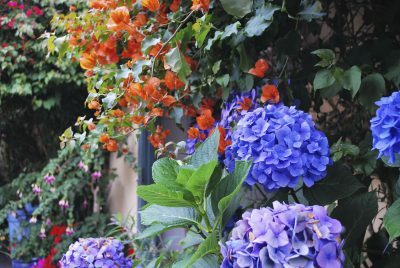 Read on for some tips on what to plant with hydrangea. 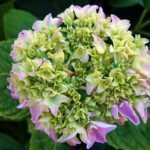 When you are considering hydrangea plant companions, look for plants that are similar to hydrangea and those that are different. You focus on hydrangea features by repeating them in companion plants or contrasting them with garden neighbors. For example, the popular mophead hydrangea (Hydrangea macrophylla) grows naturally as a rounded, mounding shrub with large, rounded leaves. You might choose other plants with rounded foliage as companions for hydrangea, like hosta. Its teardrop leaves repeat the shape of mophead foliage, and you can find hosta with foliage in different colors. It is also effective to pick plants with very different foliage for companions for hydrangea, such as lacy, delicate ferns. 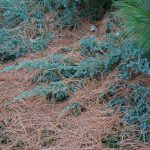 Or consider the delicate evergreen ‘Soft Caress’ mahonia for hydrangea companion plants. The feathery texture of the foliage contrasts nicely with the wide hydrangea leaves. Hydrangeas will survive in full sun with adequate irrigation. They are much happier, however, in a location with shade during the hottest afternoon hours. When you are considering planting next to hydrangeas, consider taller plants like small or medium size trees that could offer the shade the shrubs prefer. Some cultivars of dogwood trees might be the right size to offer shade as hydrangea plant companions. 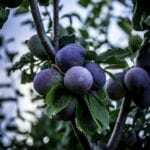 They bring attractive blossoms, foliage and bark to the mix as well. Low plants can look great as hydrangea plant companions. You can use either perennials or annuals as companions for hydrangea, depending on your preferences. Be sure to choose something that loves – or at least tolerates – shade.